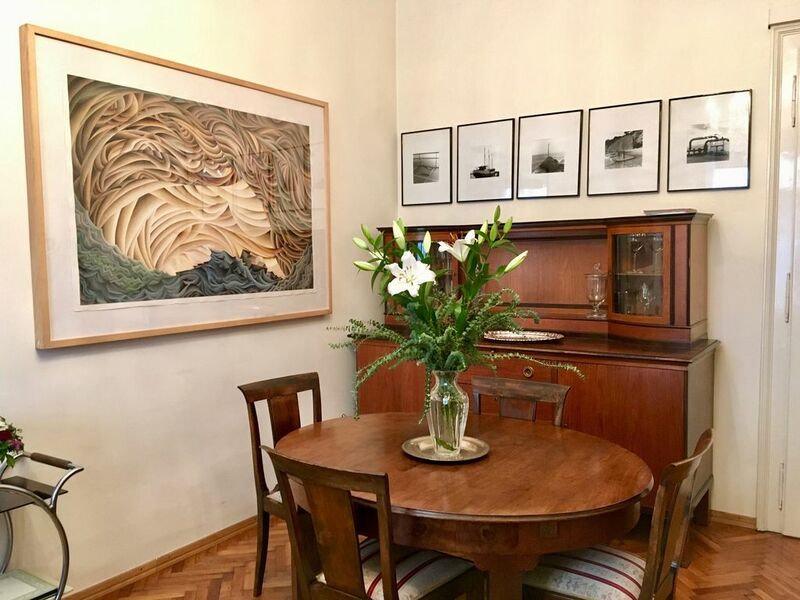 The moment you enter this welcoming apartment you are transported to Zagreb in the early 1900s, furnished with antique furniture with a couple of peaces of fine art, to lend an modern note to it. The 3.80 m/13 ft high ceilings, original french doors, 50cm/1.70 ft thick walls, and windows overlooking the street (not the parking lot on the back of the building) is what I like to call -the city apartment. You will enjoy this centrally located one bedroom first floor apartment, with a private bathroom and fully equipped kitchen. You will have free access to wireless internet. The bedroom has a queen sized bed. Please do not hesitate to contact me if you have any questions. Looking forward to hear from you! Traveling and baking, my two greatest passions in life. Even more then just traveling, I prefer moving to the country of my interest. Through work, meeting people and exploring ethnic cuisines I learn about other cultures, people and their habits. After fifteen years of working in marketing and living in different parts of the world, I realized I want to create and work on projects I throughly believe I started my own company. Actually two, one in Zagreb and one in New York. Excellent decision! Brand new custom made bathroom cabinet, sink and mirror. Lovely apartment perfectly placed in a lovely city. Comfortably and quirkily furnished - with everything you need for a great city break. My partner and I rented this apartment for three months during our visit to Zagreb and we could not have been happier. The apartment is extremely well-located in a safe and fashionable neighborhood in the center of the city just a few blocks from most of the main tourist sites. Bakeries, butchers, supermarkets, and a variety of other shops can be found within a few minutes’ walk. The apartment is quiet and very elegantly decorated, extremely clean and very comfortable with spacious rooms, marble and parquet floors, high ceilings, cross-ventilation and all the amenities that one could hope for. The large kitchen is furnished with the basic utensils for cooking, etc., although additional counter space would have been greatly appreciated as we prepared most our meals ourselves. it was a pure pleasure to have you and your partner as guests, and you are welcome back anytime. Elegant apartment located on a great street with plenty of cafes and shopping. The owner was very helpful and I would highly recommend staying in this lovely apartment. Than you for being a wonderful guest. I am very happy that you enjoyed your stay in Zagreb. We stayed for nearly 2 weeks in June in this spacious, high-ceilinged apartment and loved the place. The owner and her property manager have been most helpful. The property manager speaks fluent English and, I understand, flawless German. The place is centrally located, equipped with everything we needed and within walking distance to restaurants and museums. If I return to Zagreb, I will stay there again. Die Wohnung spiegelt den Charme der Stadt wieder. Durch die Zntrale Lage sind alle Sehenswürdigkeiten gut zu Fuß zu erreichen. Was uns besonders gut gefallen hat, war die Ausstattung der Wohnung und das in der Küche wirklich Gewürze, Kaffee, Öle und Essig vorhanden waren. Können die Wohnung wirklich weiter empfehlen. Vielen Dank für den angenehmen Aufenthalt.